If you are an earning member in your family, I am sure you remember the first time you spent big money – for instance, when you bought a large appliance for your house. That was the year you started taking over the responsibility of paying the bills which were earlier paid by your parents. That was the day you became the hero (unsaid, unspoken perhaps) in your family, taking over the family’s burden so that your parents could retire peacefully. 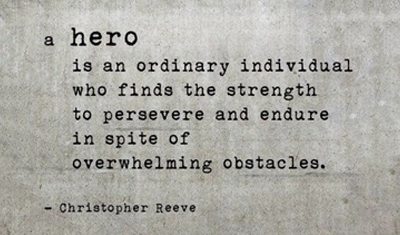 Unlike their fictional counterparts (who are armed with supernatural powers) the real heroes are armed with sheer grit, love and a sense of responsibility, which helps them endure all kinds of mental stress and physical exhaustion. But both super hero and real heroes have their weakness: both are super caring about their loved ones, and super careless about themselves. While fictional heroes being fictional, survive; the real ones need to take stock of their lives and plan accordingly. After all, a lot depends on them: Large expenses like say brother/sister’s wedding, kid’s higher education, killing the sticky monster called “home loan”, and the list goes on. Heroes need to play and replay every scenario before it actually happens, especially the worst-case scenario – the scenario when he may not be around to take care of his loved ones. This is true. The smart and rich in the world have one thing in common. They always have a plan B, in case everything that was planned goes wrong. The smart and rich in today’s world ensure they have their following basics right. They ensure they have at least six months of expenses in a contingency fund. They plan, save and invest a minimum 30% of their income into investment avenues of their choice and of risk appetite. This ensures short term financial set-backs (let’s say, a loss of job, critical illness etc.) are taken care of. With pure-protection plans like term life insurance cover, they insulate their savings, and their grand plans for the family. This in turn ensures that their family and their plans are insulated from any long-term financial set-backs (like death). While, you must learn about saving and investment from a credible financial planner. I am here to help you take a decision on buying the best term insurance in the next 20 minutes. Why Term Life Insurance is the First Insurance You Must Buy? Term Insurance is your family car's extra wheel, in case fate decides to log you off mid-journey. You may accumulate large amount of savings by retirement, but these should be able to take care of your family and its lifestyle at that time. However, if there is an unfortunate, untimely death before enough savings were accumulated, the humble and super cheap term life insurance can become the smart back-up for your family, to carry on life at the same pace, and meeting your and their ultimate dreams. When Should You Buy a Term Life Insurance? You are charged the same premium for your entire life. This means you can lock an extremely competitive premium at a younger age. You pay nearly 15% less premium all your life if you take an insurance cover at 24 instead of 28. Close to 20% of proposals logged in with insurers are either rejected or declined due to health or lifestyle related issues. At 24, less alcohol and smoke has entered your body. The premium can be part of your annual investments that allow deduction u/s 80C. Term Plans are super-cheap. Their only job is to cover the financial risk of your death. It’s like a car or bike insurance that covers only damages and theft of the vehicle, and does not return any premium in case there is no claim. The cost of a term insurance, if you are 30, is around 0.1% of the cover you want. So paying Rs. 10,000 annual premium gets you a cover of Rs. 1 Crore. You may have to invest around 3 times to get the premium returned, and around 80-100 times to get a return of 4-5%. Plans that provide returns are super-complex to understand. It is way simpler to keep investment and insurance separate, and monitor, measure their efficacy separately. The best of the financial experts recommend to keep insurance and investments separate. Historically, life insurance has provided long-term return of 4-5% annually, which is less than the estimated rate of inflation – defeating the entire purpose of making investments. If you work on a smart investment plan at an early age, even upto 30, you can easily earn returns of around 9-15% in 10 years. Reach out to a financial planner for more information. Usually, if you are a 30-year-old salaried individual and a graduate by education, you are eligible for around 20 times your income. You must buy a cover that is at least 15-20 times your living expenses, including the EMIs for Home and other assets that you may have purchased. Note: if you are buying a term insurance, it is important to buy the maximum coverage you are eligible for. Since the premiums remain constant, this strategy helps you lock cheaper premium at a young age. Also, you mitigate the risk of not getting cover, in case any health condition or disease comes up at a later age. Till What Age Must You Buy Term Life Insurance? When you buy Term Life Insurance you are insulating your family from big expenses and liabilities. Hence, you must ensure coverage upto the time you estimate these expenses are to be incurred. For instance, let’s assume Kabir is 35 years old. He has a son who is 6 years old. He wants to plan for his education upto age 23 and marriage at age 28. If all goes well, Kabir should be able to repay his home loan in 20 years. His son’s higher education may be for around 17 years and marriage in 22 years. Then Kabir should take a cover of around 25 years, so that all his liabilities and commitments with respect to loan repayment, child’s marriage and education have been taken care of by this time. He should be able to invest the remaining of his savings into investment avenues that take care of his living expenses, post-retirement. What are the factors one must look at when buying a Term Life Plan? Price: Price should be the single-most important criteria to choose a term insurance plan. All Insurance companies are heavily regulated by the government. Since the regulations are fiercely pro-consumer, the chances that a valid claim does not get paid is a rare event. Service track-record: The entire process of enrolling into a term plan has many steps. It is important to do a quick check on the service track-record. Service track-record can be known from your advisor or any other relative/friend who has experienced the services of the insurance company. There are some service parameters like claim settlement ratio, or complaints outstanding ratio, that may give you a hang of the insurers process efficiencies. Claim settlement ratio do not guarantee that your claim will get paid. Remember, none of the insurance companies have a 100% claim settlement ratio. The application form must be filled thoroughly and meticulously with highest level of clarity possible. Ensure you do not blindly sign any paper, without going through the content. Ensure you do not blindly sign on any document or form filled by a financial advisor or agent. Ensure there is no guess work. If you are declaring health of a family member in the form, ensure you speak to the family member and get accurate information. Insurers price products based on a certain customer profile (health, occupation, location, family’s health history etc.). You must ensure that you have declared all this accurately, to avoid any mid-term cancellation or rejection of the proposal/policy or claim. And if you have made sure that you have filled the application form yourself, there is no reason for you to worry about claims getting paid or not. You must read through the product literature, like the brochure or the wordings and understand the policy, so that there are no unpleasant surprises. You must understand the deal correctly. Why Prices are so Different? Though the coverage available and the benefits offered are almost identical, the prices are different. The internal cost structures, margins of each insurance company can be totally different. Besides these, a large brand may also charge a premium for the brand value it brings to the table. How Trustworthy are Private Insurance Companies over LIC? There is really no difference, because insurance companies are heavily regulated. What will matter is your proposal form (which I have detailed in the earlier point). But having said all that, if only LIC gives you a good sleep at night, and you can afford 3 time the premium for the same coverage, benefits and terms, you can go ahead. It’s better to have a cover, than to wait endlessly for LIC to reduce its premiums. Where Do You Buy Term Life Insurance From? There are multiple types of market players whom you can approach to buy term life insurance. While all may look the same on face value, when you delve deeper you will get to know there are significant differences on a fundamental level. It may seem that all comparison websites are the same, but there is a difference between web aggregators and insurance brokers. Online Insurance Brokers are the only players who are mandated (through their license) to represent the customer, and give them unbiased advice across all insurance products in the market. Here’s a quick snapshot that helps differentiate the services provided by each player. What Kind of Plan Should You Buy? Insurers are getting creative, simply to differentiate in a product category as simple as term life insurance. You need to objectively evaluate, sift benefits against frills that merely increase the cost, without adding any great value. For most of us, it is recommended to stick to the basics, solve the big problem you are here to solve, and simply buy a no-frills term insurance plan, without any additional riders. The maximum you can do is add smart inexpensive riders like waiver of premium for accidental disabilities and critical illness. Riders should be looked at only if they solve a specific problem you have identified. For instance, we recommend double accident benefit rider for customers who cannot afford a large insurance cover.